Over the past year, the DIY movement has grown increasingly! We’ve already shared with you our secrets to washing your windows with vinegar, we also wanted to share another recipe that offers another alternative to getting toxins out of your home. This recipe is a bit fancier. You can also save time and money by making your own glass cleaner. Who wants toxins in their homes? 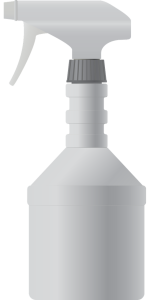 Sometimes commercial cleaning agents can be toxic and irritate your skin and harm the environment. Especially when you clean with ammonia or bleach, you may smell the harsh chemicals that can also trigger your sinuses. Granted if you don’t have all the ingredients to start, you’ll have to spend money up front, but this recipe will only cost you 33 cents per 2.5 cups of glass cleaner! Or you can buy a popular brand glass cleaner from a store and get the same amount of cleaner, but spend anywhere from 3-7 bucks. At Prime Time Window Cleaning, we are an environmentally safe company. We believe in cleaning without leaving a mess needing to be cleaned behind. For a professional window cleaning service, please call our facility for a FREE QUOTE at 800-480-1360.